Researchers at Fraunhofer have developed a USB flash drive based navigation solution for indoor positioning. Although the RTLSflares look like ordinary USB flash drives, they facilitate the positioning and navigation of robots, vehicles, and objects inside buildings. And can be put into operation in a matter of minutes. We rely on GPS signals to guide us to our destination as fast as possible while we are driving, sightseeing or hiking. It is hard to imagine everyday life without satellite-based positioning. However, alternative solutions are necessary for places that lack a direct line of sight to GPS satellites. This technology developed by researchers at the Advanced System Technology Branch AST of the Fraunhofer Institute of Optronics, System Technologies, and Image Exploitation IOSB, will provide precise positioning and navigation inside buildings. RTLSflares are especially suitable for the geolocation of mobile robots and automatic guided vehicles in logistics. In addition, specialists in disaster areas can use RTLSflares to coordinate first responders. Measuring approximately 58 x 25 x 10 mm, an RTLSflare contains a microcontroller, a radio-frequency identification (RFID) chip, an inertial measurement unit, a USB interface and positioning software. Four flares can be placed in stationary positions to set up a wireless ad-hoc network. A fifth flare can be used to geolocate a moving object inside a building – in real time and with centimeter precision. This solution has an operational range of 100 meters. When a flare transmits ultra wideband (UWB) signals, the propagation time of the signals transmitted can be measured in order to determine an object’s position along the X, Y and Z axes. These UWB signals can be used to determine the position of a mobile unit within mere centimeters. This can be done by measuring the differences in the propagation time of a signal transmitted to various stationary units. It is, however, necessary to know the exact location of the stationary units. This makes it possible to determine the relative position of the mobile unit. To this end, the team of researchers developed a method by which the stationary units automatically calibrate themselves. As a result, each RTLSflare can essentially configure itself. These innovative units thus lend themselves to a diverse range of existing applications. These cost-effective RTLSflares can be operated using off-the-shelf power banks or USB power hubs. 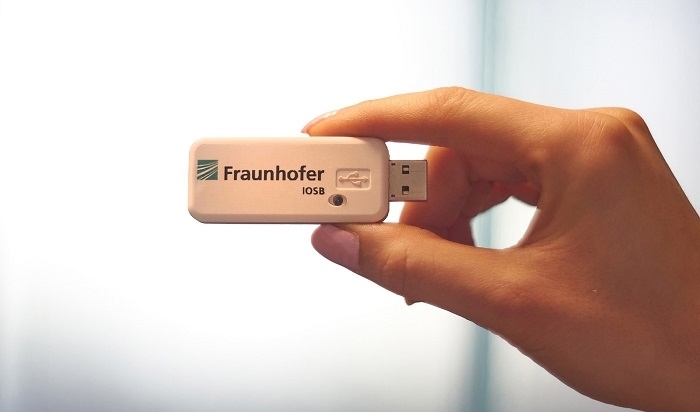 For industrial demo applications, Fraunhofer IOSB-AST offers an evaluation kit that comprises five RTLSflares, instructions for use and drivers. Interested companies can try out a set for several weeks free of charge. 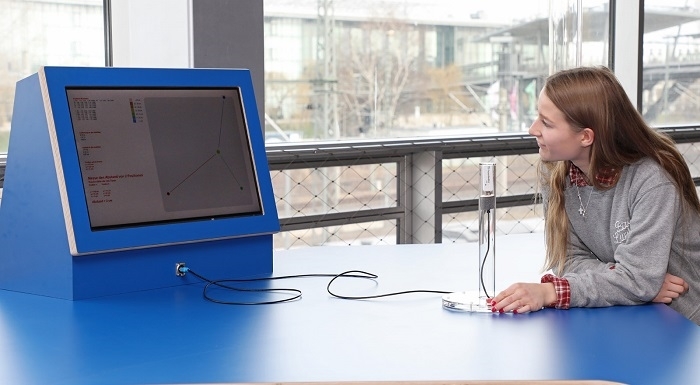 In addition, visitors to the special exhibition “Time” at the phaeno Science Center in Wolfsburg can see the RTLSflares in action: this positioning solution will be used to illustrate the GPS operating principle. The exhibition is open through February 3, 2019.